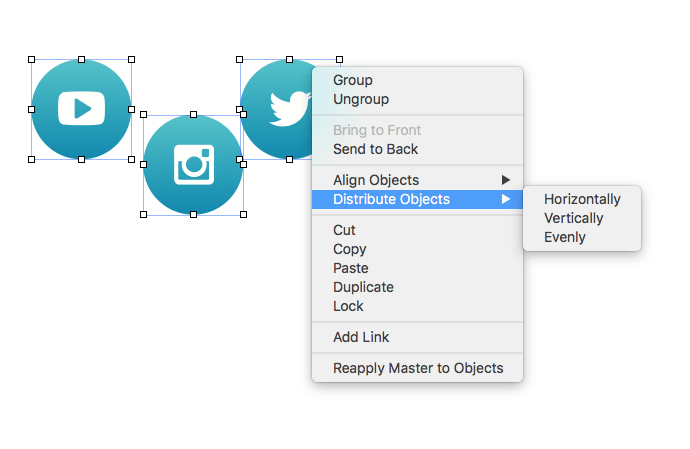 Information: Built-in vector tools in KeyNote allow you to create vector objects (graphics, illustrations, infographics, icons, logos, maps) without using any additional graphic apps. Distinctive features of using the vector elements are the ability to quickly edit a shape, manual color change in just a few clicks, and the ability to change the object size without loss of quality (which is important during the presentation broadcast via the high-resolution widescreen projectors or during printing). That is the reason we use vector shapes, infographics, icons, maps and illustrations to maximally simplify the customization process for you. 1. Size change. Click on a vector object, you’ll see a “frame” that indicates that object is active. Drag the “frame” marks to change the size of the object. If you want to change the size proportionally, hold down “Shift” key. 3. Copy object. Select the object and use the keyboard shortcuts Command+C (Copy) and Command+V (Paste). 4. Delete object. Select the required item and press “Delete” key on the keyboard. 5. Color change. You can manually change a color of the vector shape. More on this you can find in “What filling options can be used for the elements”. 6. Change outlines. You can apply outlines to any vector shape. 7. Arrange vector shapes. You can arrange multiple vector shapes in relation to each other. Select the shapes, right-click in the dropdown menu and select “Align Object”. You can also evenly distribute multiple objects vertically or horizontally. To do this you need to select at least 3 objects and to select “Distribute Object” in the drop-out menu. 8. Group and ungroup vector shapes. 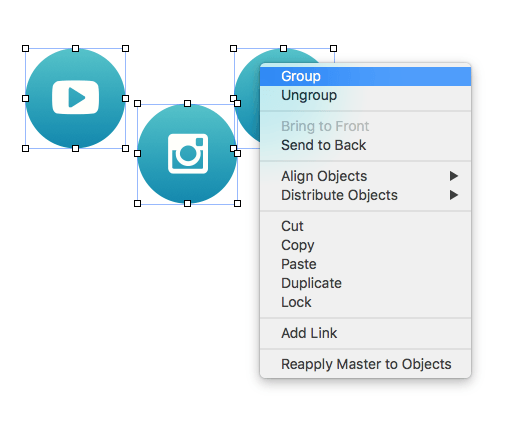 You can group and ungroup multiple shapes. 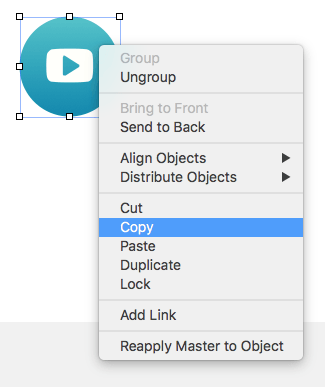 Select several vector objects in the dropdown menu and select the option “Group” or “Ungroup”.